Their presence at our Relay gives us assurance that our work is not in vain and it also reminds us that our work is not complete. 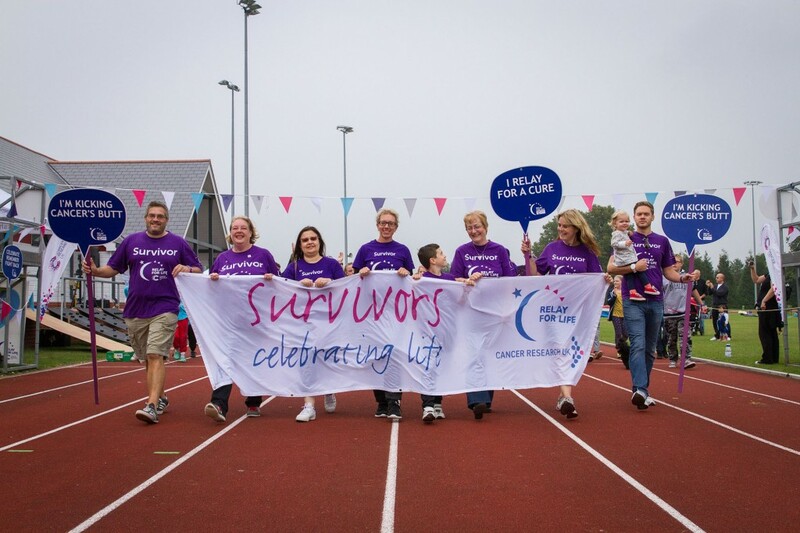 On the Relay weekend, the opening Lap of Honour will be walked by Survivors, after which they will adjourn to the Pavilion for a special lunch and hopefully remain for the afternoon and evening entertainments. They may, of course, be part of a team, in which case they will rejoin their team-mates and participate alongside them. Our survivors are invited to judge a number of our Team ‘competitions’, including Best Stall, Best Team theme/costume and Best Banner! The last lap on Sunday will also be led by our Survivors and we invite those that have not stayed overnight to return to share in this Celebration Lap. If you know any Survivors that we can honour as our guests please let us know. Please encourage your team to invite any Survivors they know. Survivors may register whether in a team or not, free of charge. Those currently having treatment sometimes think that they do not qualify as Survivors -they do and they are very welcome! We hope they will find it an encouraging and inspiring experience.